A leading American-based information technology company, Finger Print Data Solutions, with a track record of great impact in the technology space in the US, has signed popular comedian, Mr. Patrick Onyeke, as its brand ambassador. Onyeke will now be the face of the company’s App, “My Neighbours Kitchen”. This new App is loaded with amazing features. Already plans are in place to shoot the advert commercials which will be on bill boards, television and radio stations, road shows and several others platforms both in America and in Nigeria. This is coming exactly two weeks after the company endorsed Nollywood actor, Bolanle Ninolowo. With this recent step, Finger Print Data Solution is setting a new pace in technology. 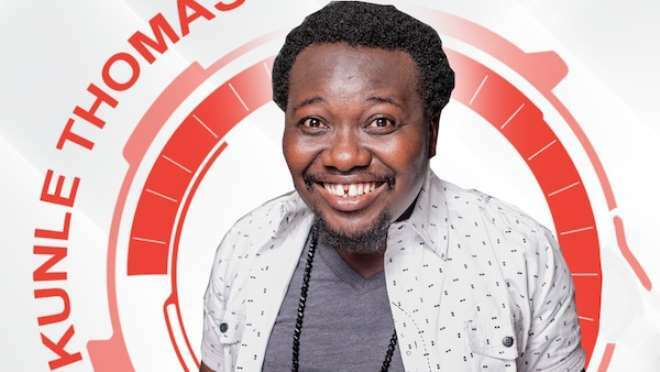 Popularly known as Mr Patrick, Onyeke, is one of Nigerian’s seasoned comedians, who has distinguished himself with his unique comic skits, “The adventures of Mr Patrick”. He has not relented in his effort to makie quality skits and that has put him on the frontlines in the entertainment industry. The comedian can be proud to say he is one of those that pioneered the skit making in the country known as ‘Slap Stick,’ and today many have followed the trend. Onyeke started his career as a stand-up comedian over a decade ago. He has appeared in many stand-up comedy shows in Nigeria including, Nite of a Thousand Laughs, Africa kings of comedy, Ay live, Basket mouth uncensored. He has also performed at corporate events and government functions home and abroad. Mr Patrick has also organised his own comedy shows called “Jokes Apart”, in Nigeria, Malaysia, Dubai, South Africa amongst others. Well, having pushed himself to the top and still doing what he knows how to do best, the comedian has just hit his first international endorsement deal with a US company.